Mass Communication Specialist 1st Class Nathan LairdChief of Naval Operations (CNO) Adm. John Richardson, the 31st CNO. 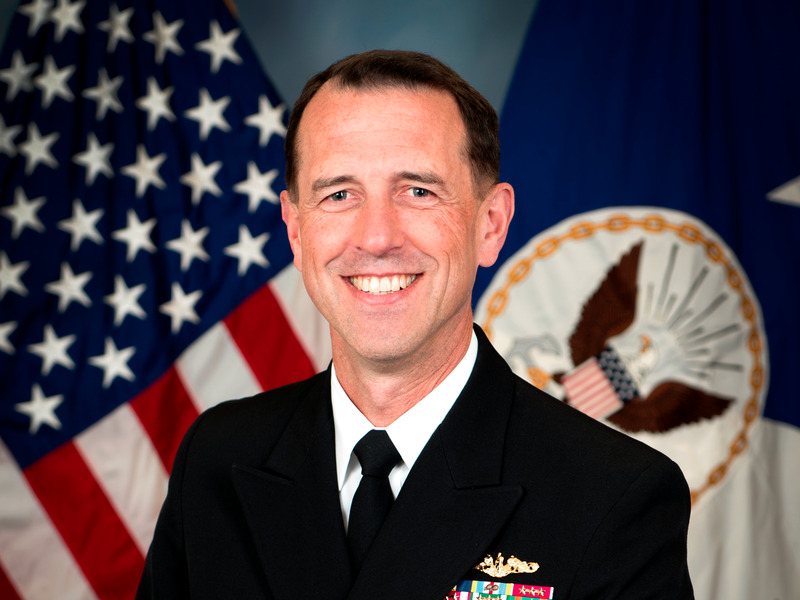 Speaking at a Center for New American Security conference on Monday, Chief of Naval Operations Admiral John Richardson explained why china’s DF-21D “Carrier Killer” anti-ship ballistic missile isn’t all it’s cracked up to be. The DF-21D, an indigenously created, percision-guided missile capable of sinking a US aircraft carrier in a single shot, has a phenomenal range of up to 810 nautical miles, while US carriers longest range planes can only travel about 550 miles away. 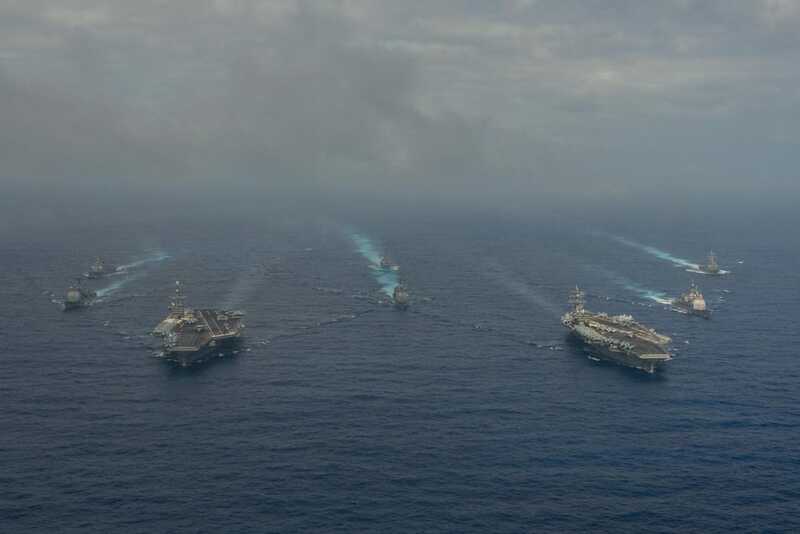 Therefore, on paper, the Chinese can deny aircraft carriers the luxury of wading off their shores and forcing them to operate outside their effective range. But Richardson contested that notion. China’s intelligence, surveillance, and reconnaissance capabilities (ISR), bolstered by a massive modernisation push and advanced radar installations on the reclaimed islands in the South China Sea, have theoretically given them the ability to project power for hundreds of miles. However, the US Navy won’t be defeated, or deterred by figures on paper. “In the cleanest form, the uninterrupted frictionless plane, you have the ability to sense a target much more capably and quickly around the world, you’ve got the ability then to transmit that information back to a weapon system that can reach out at a fairly long range and it is percision-guided… you’re talking about hundreds of miles now, so that raises a challenge,” said Richardson. The Aviationist via US NavyTwo carriers cruise in the South China Sea. “You’ve got this highly manoeuvrable force that has a suite of capabilities that the force can bring to bear to inject uncertainty,” Richardson continued. Richardson also went on to address the dual aircraft carrier deployments in the Pacific and the Mediterranean, saying that the deployments afforded a rare opportunity for “high end war fighting and training,” as carrier groups rarely get to train with each other in realistic, not just theoretical situations.